The problem with traditional kayaks and canoes is that they’re not particularly portable. There are some solutions to this issue, including inflatable, foldable, or module boats. But these can still be heavy and cumbersome. If you want to paddle freely, without the need for a car or a trolley, how about giving packrafting a go? Packrafting is the practice of hiking and carrying a single-person inflatable raft with you. Whenever you come across a body of water you want to cross, you can just hop in. 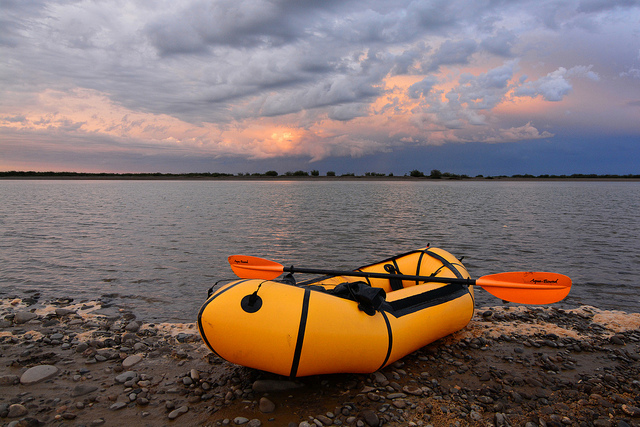 Interest in packrafting is growing, so there are more packrafting trips available too. Still, packrafting tours can be a little trickier to find compared to some others. Here’s a collection of some to try out in a few different places around the world. 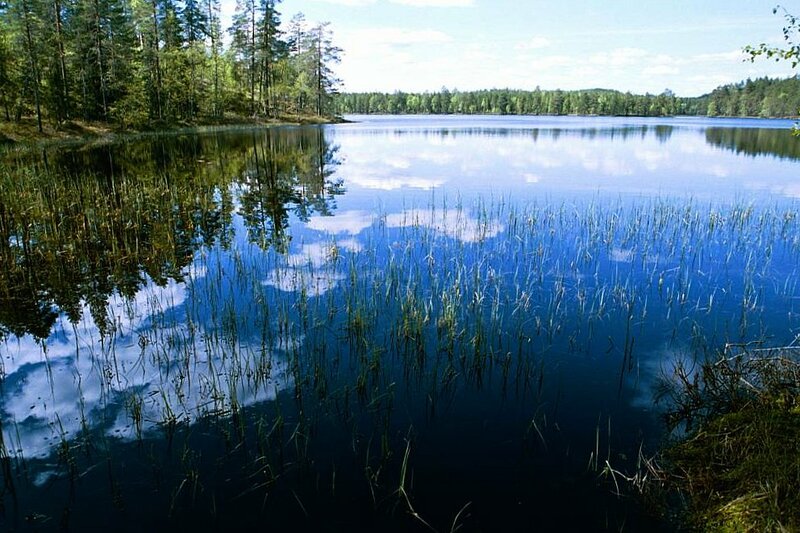 Nature Travels provides adventures in Finland, Norway and Sweden. Their packrafting trip is one of the more recent additions to their experiences. The four-day/three-night trip in Helvetinjärvi National Park will show you the ways of packrafting using rafts for one and two people. You’ll adventure through lakes and gorges, wild camping along the way, and everything you need will be provided, including meals and local transfers. This trip is also available to book with Much Better Adventures, where they also have the option of a two-day Finland trip. This trip includes a day rafting the Kymi River and a day hiking in Valkmusa National Park. It includes meals, transfers and your guide, and you’ll wild camp overnight. Kayak and canoe trips are fairly easy to find in the UK, but packrafting is a little more difficult. Fortunately, there are a couple of options. Not far from Betws-y-Coed in Snowdonia National Park, Tirio will take you on a short trip for a half-day, full-day or overnight adventure. They have a number of options, with some suitable for children as young as 8 (others 10 or 12). These would be great for a family weekend or holiday activity. 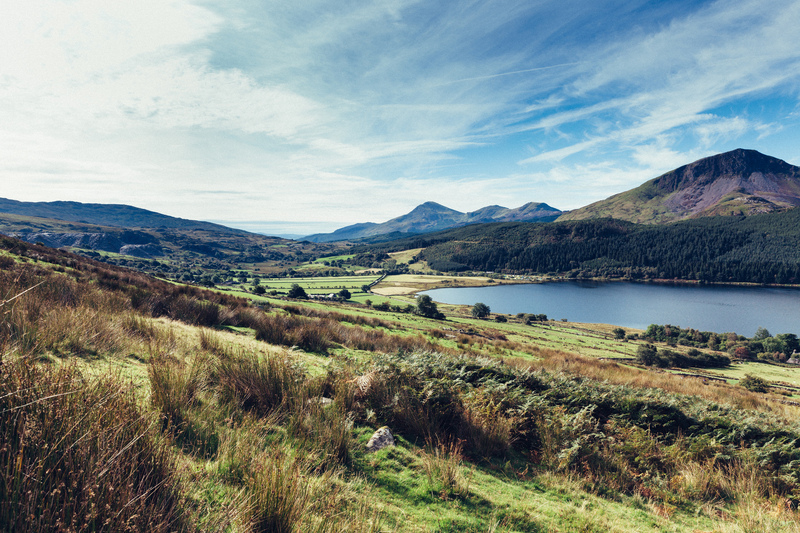 Another UK possibility is to have a custom trip created for you by Back Country, based in Aviemore in Scotland. They have a few suggestions for trips for you, like their two-day Inverpolly itinerary. They say that they sometimes have set trips on their calendar too. For other European options, Germany-based Packraft Touren offers guided tours in a number of locations. These include Slovenia’s Soca Valley, the Tara River in Montenegro, and the Austrian alps. Some options are a single day, while others are longer, multi-day tours. New Zealand is always a good pick for outdoor adventures. Fiordland National Park is a top location too, and it’s where you’ll find the classic kayaking location of Milford Sound. ExpeditionX has packrafting day tours (Queenstown and Te Anau) and tours lasting three or seven days. The seven-day trip will take you a whopping 150km (about 94 miles) – but they only do four trips a year, with a maximum of six people. The three-day trips are split into one for beginners, and one for returning customers or more advanced paddlers. The company has rentals on offer too, if you would prefer to create your own trip. For more options in the same area, try Packrafting Queenstown. They have day trips, an overnight trip, a three-day trip, courses and rental for rafts and equipment. Contemporary packrafting is generally regarded as having risen out of Alaska. So it’s the place to go if you want to discover what it’s really about. One option is to do a half or full day with Kennicott Wilderness Guides. They also have a six or seven-day trip, plus a packraft race you can try out too. You can also rent packrafts from them. If you’re looking for a truly epic adventure, Arctic Wild has a couple planned for summer 2019. 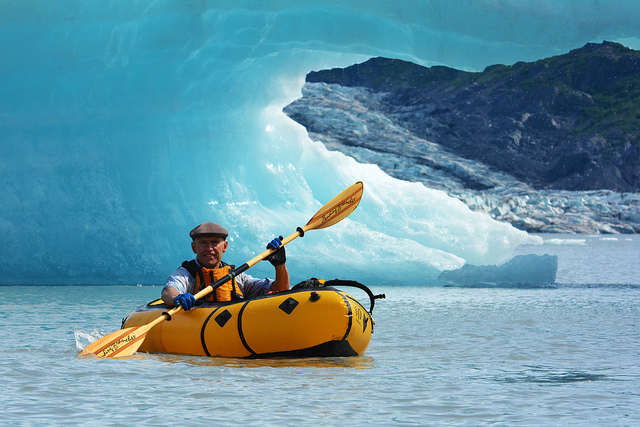 The Solstice Packraft runs from June 15th to 22nd in Alaska’s Arctic National Wildlife Refuge. The Arrigetch Packrafting Adventure takes place August 10th to 21st, exploring the Gates of the Arctic National Park. Prices for these trips start from a cool $4,700 and they’re not for the faint-hearted, although packrafting experience isn’t necessary. The Grand Canyon is excellent for white water rafting, but it also offers some great packrafting opportunities. Just Roughin’ It offers a self-guided option that lasts five or six days. Their Rim to Rim Packrafting itinerary rates a 9 out of 10 on their difficulty scale – but they also give it a 10 for solitude, so it’s perfect for for the adventurous introvert. The company outfits you with everything you need for camping and hiking, as well as an Alpaka raft, paddle and life vest. You can only get across the Colorado River in a packraft on this route. It’s a 21-mile trip with tonnes of excitement (9 out of 10 excitement!) that they recommend for the autumn. 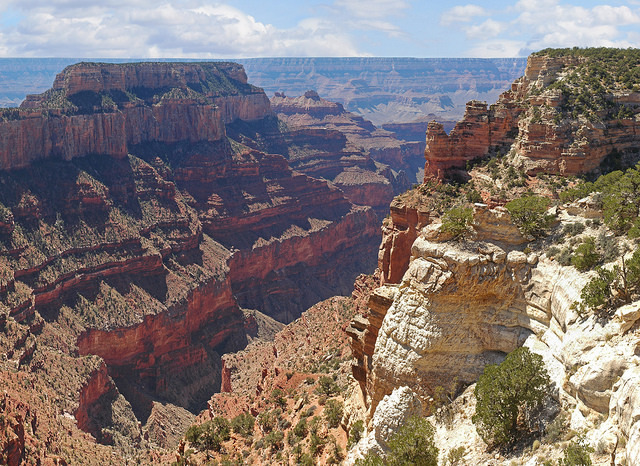 Before you can go on the trip, you need to get a permit from the Grand Canyon National Park. Canada – the bit where they speak French. Canada won’t leave you wanting where outdoor adventures are concerned so, naturally, you can discover an awesome packrafting trip. This 10/11-day trip from Boreal River Adventures doesn’t technically begin until day three. You’ll meet up on the first day, then spend the second day preparing and training. Then, obviously, a helicopter ride into northern Quebec. The group then hikes, paddles and even rappels to get to Lake Magpie, followed by paddling on the lake and white water on the Magpie River. The final destination is the coast, taking in the Magpie Falls along the way. Basically, there’s just an awful lot going on. Got any recommendations or favourite packrafting trips? Leave a comment! Thanks to Leo-seta, Craig Dennis, Robert Haandrikman, Paxson Woelber, Grand Canyon National Park, Paxson Woelber.